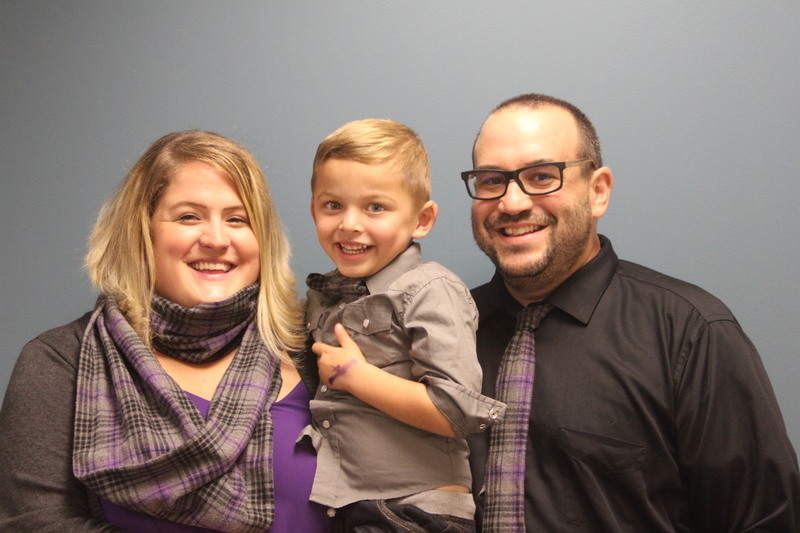 Michael Cohen, Kelli Rockafellow and their adoptive son Drew, 3, spoke to the council, which proclaimed November "Court Adoption and Permanency Month." "We feel your joy," California Chief Justice Tani G. Cantil-Sakauye told the family. Michael Cohen and Kelli Rockafellow met their new foster son at the hospital near their Hayward home, where he had been abandoned with whooping cough. After spending his young life homeless, nine-month-old Drew had never seen a doctor. He didn’t even have a birth certificate. 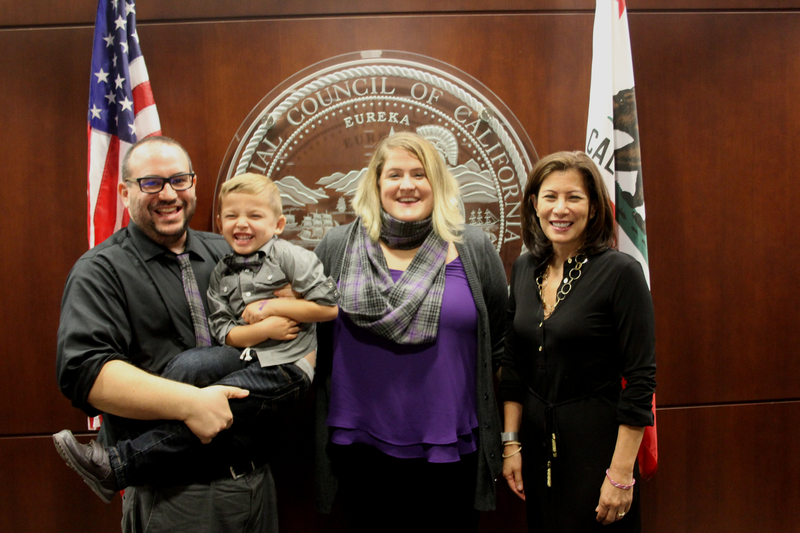 On Thursday—three years after that harrowing first day—Cohen and Rockafellow stood before the Judicial Council as Drew's adoptive parents. "I can't say how much it means to be able to look at Drew and say 'I'll be your dad forever, you'll be my son forever, Kelli will be your mom forever, and we will be a family together,'" Cohen said. The family spoke on Thursday as the Judicial Council voted to proclaim November “Court Adoption and Permanency Month.” The designation highlights the work of California’s juvenile courts, spotlights innovative programs that improve the lives of foster children, and encourages trial courts to hold special events to clear any backlogs of adoption cases. The bright spot in those difficult months before Drew's adoption was finalized was the boy's court-appointed dependency attorney. "He was the only person in this case who had no other interests…except for Drew's well-being," Cohen said. “He would also talk to us in the hallway after we saw the judge to make sure we fully understood what had been decided." Judge Jerilyn L. Borack, a Sacramento County dependency judge and co-chair of the council's Family and Juvenile Law Advisory Committee, congratulated Chief Justice Tani G. Cantil-Sakauye and the council for successfully lobbying the state Legislature in June to provide an additional $22 million to fund court-appointed dependency counsel for children like Drew. VIDEO: Michael Cohen and Kelli Rockafellow—with their adopted son Drew, 3—spoke before the Judicial Council on Thursday. More than a dozen county courts across California will mark the November designation by dedicating extra courtrooms and judicial officers to settling large numbers of adoption cases. On Nov. 17, the Superior Court of San Diego County will reserve two courtrooms for finalizing adoptions, and the Santa Clara Court expects to complete 35 adoptions that day with nearly a dozen judicial officers presiding. This week, Michael Cohen and Kelli Rockafellow are preparing to become foster parents for the second time. They don’t know when the call will come, or who their child will be. So the freshly painted room for their future foster child holds three beds—a crib and both toddler and twin-sized beds, just in case.